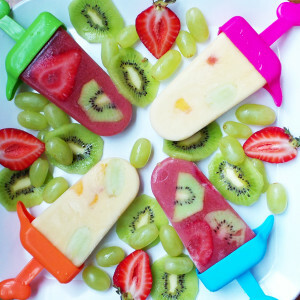 It’s a popsicle feast! 2 easy recipes to cool off and enjoy with friends. Equipment needed: High-speed blender (Vitamix), Popsicle molds. 2. Blend the ingredients and pour in the mold. 3. Freeze, enjoy the next day.